Governor signs 'Carbon Sink Act'! Gov. Arnold Schwarzenegger signed Forests Forever-sponsored Assembly Bill 1504 into law on Sept. 29, 2010! In the state legislature, victory for A.B. 1504, the “Carbon Sink Act,” authored by Assemblymember Nancy Skinner (D-Berkeley), came at the last possible moment before the Senate and Assembly adjourned at midnight on Aug. 31. Long months of negotiation came to a head in the session’s final burst of legislative action. First the Senate passed A.B. 1504 by a vote of 24 to 12, then the measure went back to the Assembly which quickly concurred 49 to 27 on the pending Senate amendments, automatically sending the bill to the governor for his signature. That A.B. 1504 made it under the wire and won took even supporters by surprise. Amid the turbulent final session of the legislature, thick with partisan bickering over budget matters, many bills failed to squeak through before the deadline. Fortunately, in the case of A.B. 1504, all the behind-the-scenes activity by legislators and advocates throughout the year worked magic to slip the bill through. On several occasions the tug-of-war over the measure nearly doomed it. In mid-August, the bill went to the Senate for its third reading, but abruptly on Aug. 26 the measure was yanked away and mysteriously sent back to the rules committee, which could have killed its chances. Then suddenly on Aug. 30, again without explanation, the bill was retrieved from Rules and sent back to the full Senate. Its passage the next day proved its resilience. In early August the bill had been one of a handful of measures – out of a very long list of them – retrieved from the California Senate Appropriations Committee’s dreaded “suspense file,” where many bills are consigned over cost concerns. Amended to satisfy the concerns of a majority of the Appropriations Committee members, A.B. 1504 passed by a vote of 7-4 on Aug. 12. Your calls and emails to key committee members urging YES votes made a big difference in giving A.B. 1504 a last-minute reprieve. Forests Forever’s supporters helped keep this worthy piece of legislation on track toward final approval by the Senate. The measure had cleared the full Assembly in January by a vote of 43 to 28. A.B. 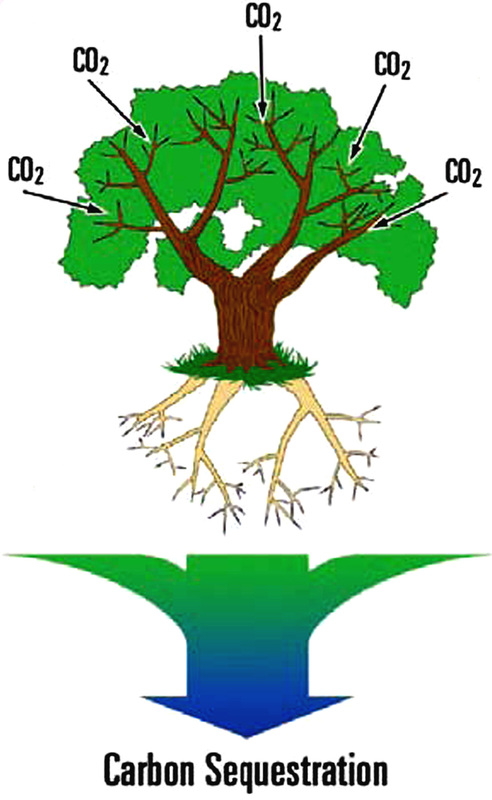 1504 would amend the Z'berg-Nejedly Forest Practice Act of 1973 to require the state Board of Forestry (BOF) to guarantee that all its regulations governing commercial timber harvesting take into account the capacity of forests to sequester carbon dioxide. The purpose is to ensure that Californias public and private forests store enough CO2 to meet the greenhouse-gas (GHG) emission-reduction goals mandated for the states forestry sector by A.B. 32, the historic California Global Warming Solutions Act of 2006. A.B. 1504 would require the California Dept. of Forestry (CDF), in consultation with the state Air Resources Board (ARB), to determine to what extent existing forestry regulations and programs are meeting A.B. 32s GHG targets. For the CDF to satisfy A.B. 1504s requirements, the agency likely will need to commission a Life-Cycle Assessment (LCA) of forestry products and practices, according to Brendan McCarthy, consultant to Senate Appropriations Committee Chair Sen. Christine Kehoe. 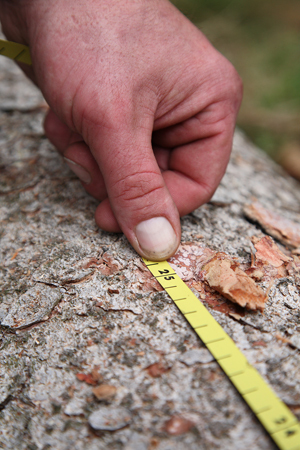 Conducting such an assessment, as per federal EPA guidelines, means compiling an inventory of the energy and material inputs in forestry operations, evaluating the cumulative environmental impacts associated with these inputs, and interpreting the results to help make informed conservation decisions. The point is to ensure that the BOFs regulations, and practices are in fact continuing to sequester carbon dioxide at the current estimated level of some five million metric tons of the gas annually. McCarthy said CDF estimates that commissioning an LCA could cost anywhere from $800,000 to $1 million. As those who have been following the progress of Skinners A.B. 1504 through the legislature well know, the bill would make carbon sequestration one of the prime considerations in forest management along with watershed protection, fisheries and wildlife conservation, and recreational opportunities. The legislation would help manage forests stressed by climate change, maintaining them as a net sequesterer of CO2. At the same time, the bill also assures the continuous growing and harvesting of commercial tree species and makes a willful violation of the BOFs rules  including failure to assess forest CO2 sequestration  a crime. Californias forests serve as a first-line defense against CO2 pollution and global warming. Assemblymember Skinner and Forests Forever want to recognize and codify that value so that forests are managed in a way that enhances their capacity to scrub the air clean. To achieve its goals under A.B. 32, the state will need to actively promote sustainable management practices for forests, which may require altering existing forest practices and land use regulations. Write, email or call Gov. Arnold Schwarzenegger and thank him for signing A.B. 1504 –the “Carbon Sink Act”! Let him know you appreciate his efforts to control California’s greenhouse gas emissions, and for recognizing the importance of accounting for our forests’ role in sequestering CO2 as called for by A.B. 1504. Also thank Assemblymember Nancy Skinner (D-Berkeley) for authoring A.B. 1504 and advancing it to the Senate and the Governor's desk. Call her Capitol office at 916-319-2014 or click on the email link above.